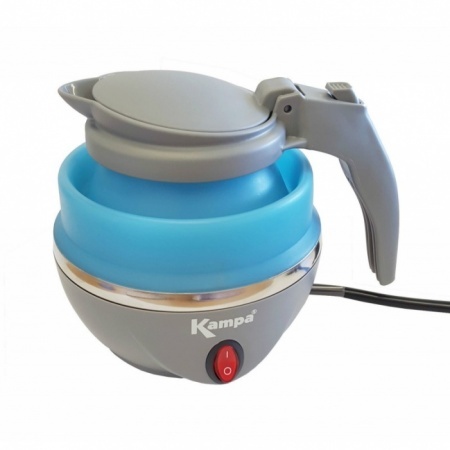 The Kampa Squash electric kettle is a collapsible electric kettle. 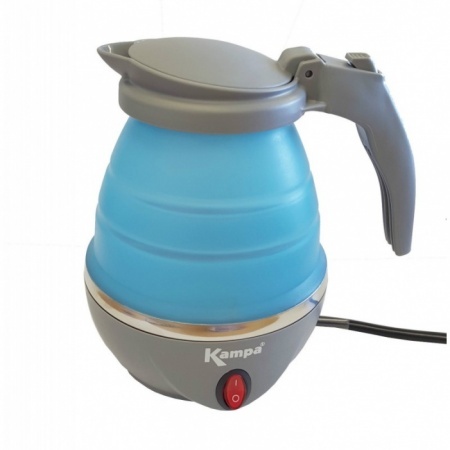 The top body section is made of flexible silicone which collapses enabling the kettle to be packed flatter, when not in used. This makes it handier for storage and for carrying. The kettle has a reasonably low wattage consumption at only 1000w and 1 litre capacity, making it ideal for your morning cuppa. Use it in your caravan or awning, whilst on caravan sites or glam camping.